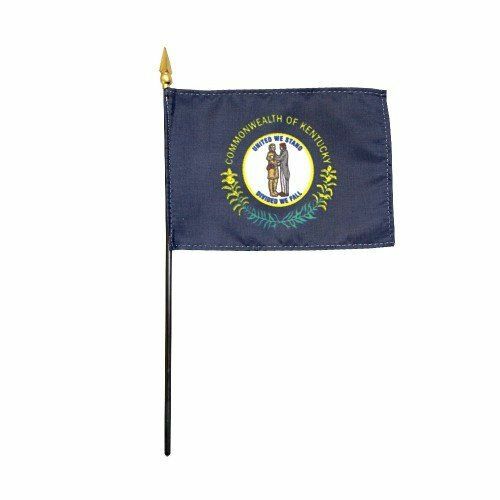 AmericanFlags.com is proud to carry Kentucky State Flags in a variety of materials, and styles, in sizes ranging from 4 IN X 6 IN to 12 FT X 18 FT. All of our Kentucky flags meet official specifications, are on sale right now and are ready for immediate shipping to your door. 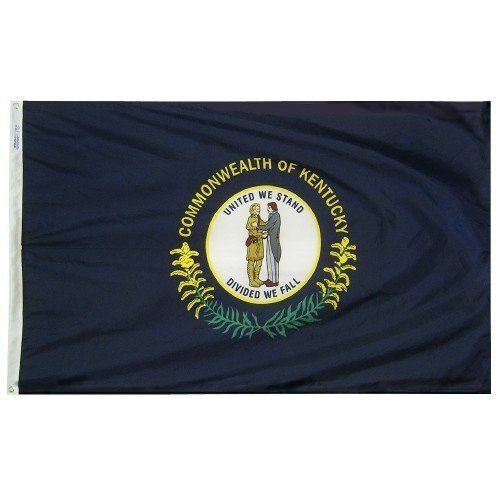 The Kentucky State Flag was adopted in 1918 and was amended in 1928 and 1962. 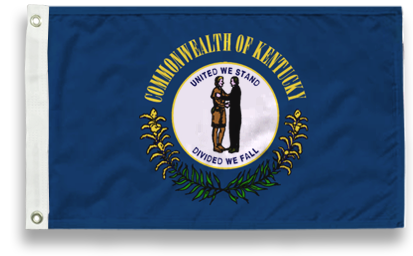 On the current flag the Kentucky State Seal and the inscription, "Commonwealth of Kentucky," appear against a background of blue. 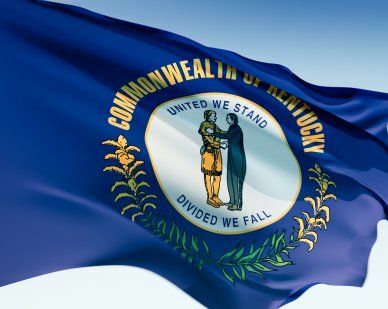 Symbolic of the people, the pioneer and the statesman who are shaking hands on the seal are acting out the state motto, "United We Stand, Divided We Fall." 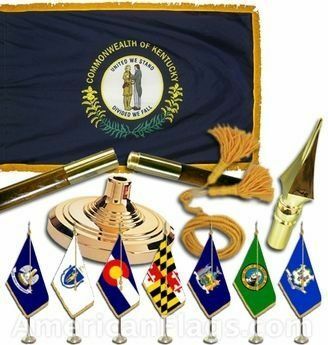 Kentucky's state flower, the goldenrod also makes an appearance on the flag, with sprays that extend in a half circle around the seal.